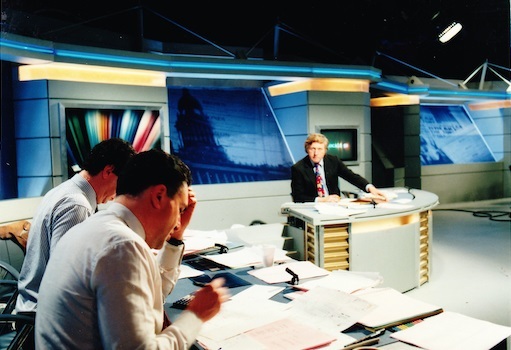 Almost the last design I did at the BBC as a staff designer was the set for presenting 'The Budget' and it's adaptation for use as the 'Local elections' set shortly after. 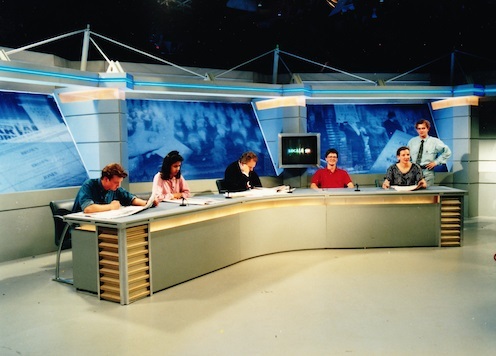 Presented by David Dimbleby, Peter Snow and Peter Sissons the director was Rob Hopkin. I'm the one in red ! 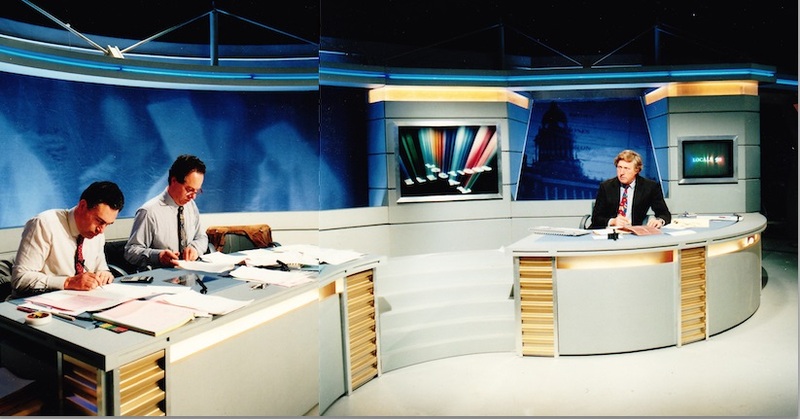 Peter Sissons centre studying his notes!